Before you start putting up your Christmas decorations this year read our handy guide which will hopefully provide some inspiration for decorating your home; and you might learn some interesting facts along the way! Before we start let’s take a look at why we decorate our homes and how it all started. Why do we decorate our homes at Christmas? The annual ritual of lugging all those decorations down from the attic in order to dress-up your home for Christmas is certainly not a new tradition; in fact people have decorated their homes for centuries. 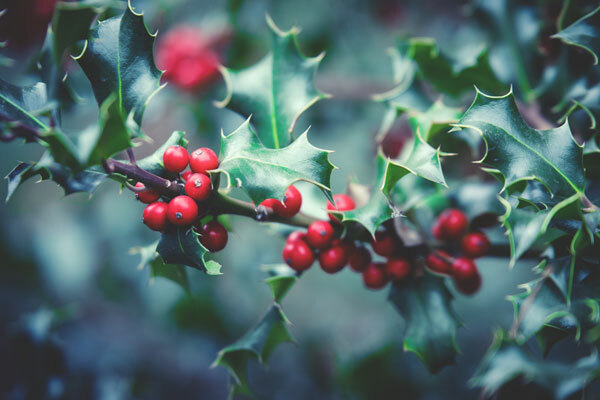 Like many Christian festivals the roots often lie in pagan traditions such as bringing holly and ivy into the home to symbolise masculinity and femininity. Mistletoe was used by early druids to improve fertility (hence it’s modern-day connotations). 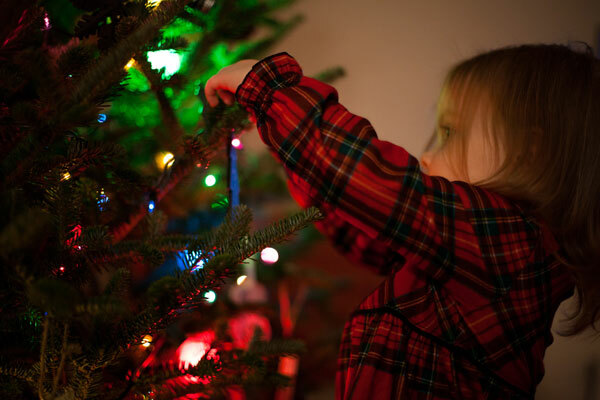 The origins of the Christmas tree are also pagan whereby evergreen boughs were brought into the home for worship. The Christmas tree was made popular by Christians and in particular became a modern tradition in Germany in the nineteenth century. Christmas trees were subsequently adopted in the UK by the Victorians who couldn’t get enough of them! Those Victorians really loved Christmas! Another Christmas tradition which can be attributed to an ancient culture is the Yule log for which we have the Vikings to thank - they celebrated the mid winter festival of ‘Yule’. Before we delve into the different types of Christmas decorations for the home let’s look at when is the appropriate time to start putting them up. When should you start putting up your Christmas decorations? Obviously this is down to personal choice but in general in the UK decorations are installed at the end of November and beginning of December. This coincides with Advent. Many prefer to start even earlier especially if there is a lot to do, however it’s best not to switch on too early, you can have too much of a good thing! Historically the Christmas tree was not installed until Christmas Eve and some still stick by this tradition although most of us can’t wait that long! One thing to bear in mind is the dreaded 'needle-drop'; so experts recommend waiting until at least December 1st if you opt for a ‘real’ tree to ensure longevity. Luckily most people agree on when is the best time to take your decorations down and that’s twelfth night aka January 6th. Please don’t be one of those Christmas stalwarts who leave the fairy lights hanging from the garage roof until August! There are so many ways you can decorate your home at Christmastime and Christmas decoration ideas certainly need not be limited to a bough of holly and scrap of tinsel. Herewith we provide an array of different ways you can decorate your home to ensure it looks fabulous for the festive season. For most people the Advent calendar will be the first Christmas decoration to appear in your home, after all it needs to be in place before the start of December. This traditional countdown to the big day has been in place for since the nineteenth century and is probably more popular now than it has ever been. 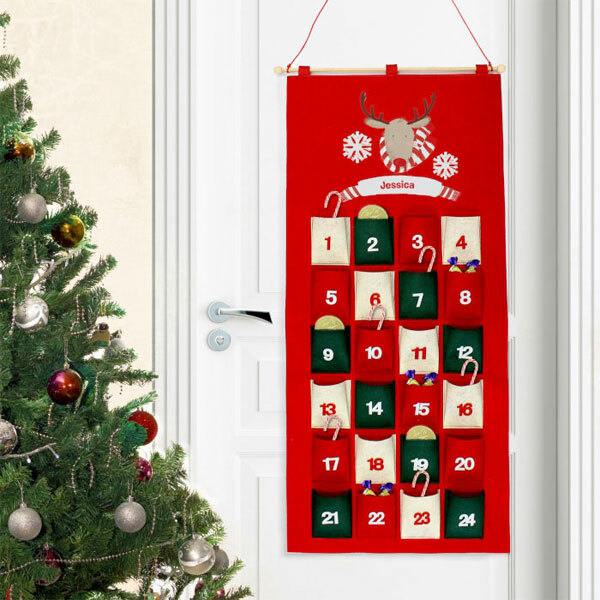 A colourful advent calendar makes a lovely decoration in itself and you can choose from traditional card style calendars or go for fabric version with pockets so you can add a little treat. If budget allows why not opt for one of the 'in vogue' luxury pre-filled advent boxes which might include gin, beer, chocolate and even a Prosecco advent calendar! Many advent calendars can be personalised and re-used year after year making them an affordable option. Hang your advent calendars in the hallway, from the stairs or on the back of a door, either way they are a great way to kick off your festive decorations. Undoubtedly the centre-piece of any Christmas decorations in your home, the Christmas tree is compulsory for most. Don’t worry though if you don’t have room for a 40 foot spruce there are loads of sizes available and if you don’t want the hassle of clearing up needles an artificial tree is a good option and better value in the long run. Perhaps more important than the type of tree is the way you dress it. It’s usually best to go with a colour scheme; this year, according to John Lewis, the rainbow coloured tree is likely to be a popular choice , but other great colour combinations which work are all-gold, all-white, all-silver, black and gold and of course traditional red and green. One important thing to remember when dressing your tree however – less is definitely more! And don’t forget your skirt! A Christmas tree will look so much better with a Christmas tree skirt which hides any unwanted views of buckets, cables and stands. Baubles are another German invention from as far back as the sixteenth century no less! In 1880 the American retail magnate F.W. Woolworth reportedly spotted them on a vacation to Germany and decided to import them to the US securing their worldwide popularity ever since! No doubt you will already have a favourite collection of tree baubles stored safely in the roof. It’s always nice to add a few new ones every year to keep the collection fresh. 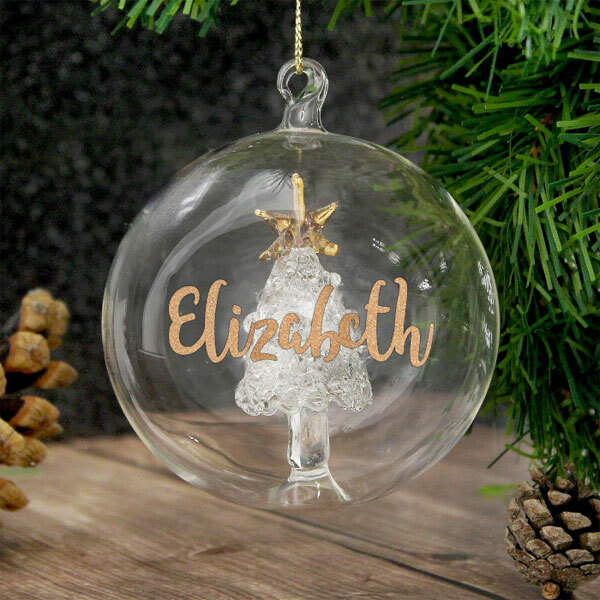 Tree baubles make great stocking fillers too – in particular a personalised tree bauble is a nice way to mark a special Christmas or to remember a loved on at this poignant time of year. Christmas wouldn’t be the same without fairy lights to brighten up proceedings. Lights are 'de rigueur' for the tree and also look great winding their way around stair banisters and hanging over mantelpieces. You could also use them to jolly-up your indoor plants as well – why should the Spruce have all the fun! 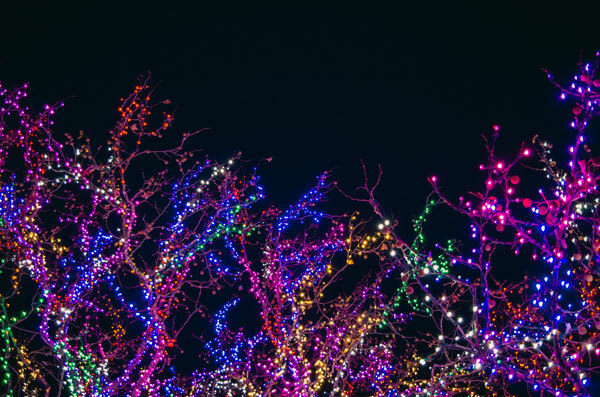 Outdoor lights are favoured by many as the ultimate show(off)-piece to your DIY decorations. By all means express yourself through your festive light displays but please be mindful of your neighbours; don't go too bright if they are close to next doors windows, don’t leave them on all night and remember to take them down again after Christmas! Christmas is a time for visitors (whether you like it or not!) therefore make sure they get a warm, Christmas welcome by displaying a wreath on your front door. 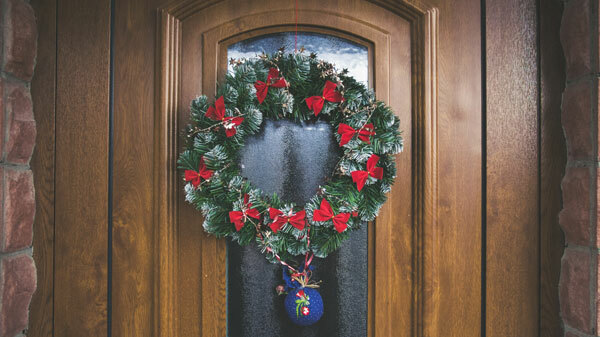 Originally used by the Christian church to symbolise Christ with the circular shape representing eternal life, wreaths looks fantastic decorating a front door. Available in an array of styles and designs to suit all tastes and budgets or you can easily make your own from some evergreen off cuts, pine cones, berries, dried fruits and ribbon, there’s loads of online tutorials so what are you waiting for? You could even get the kids involved and make this a new family tradition. Another great idea for your threshold is a festive welcome door mat, you can get these in a range of fun, festive designs and it's those little extra touches that really make a difference. Much of the origin of Christmas decorations stems from bringing evergreen plants into the home in wintertime and the effect can be impressive. Consider using off cuts from your Christmas tree or some holly or ivy from your garden to jazz up fireplaces and banisters. Pictures and mirrors look great with a few pieces of holly atop them with a smattering of tinsel. How about a foliage chandelier for dramatic effect, this would certainly impress your Christmas dinner guests! 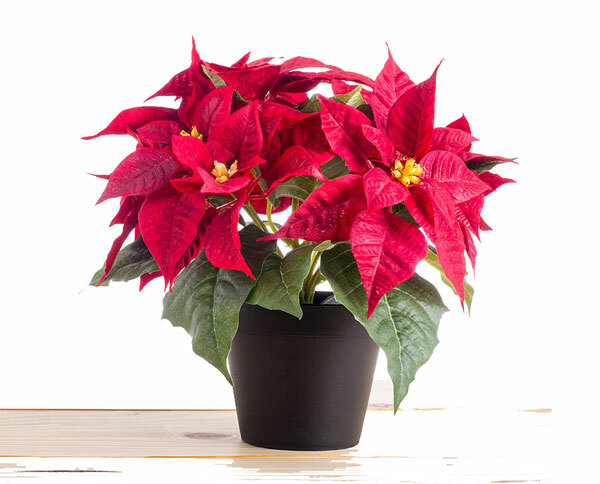 Another of nature’s decorations is the traditional Poinsettia plant or Christmas star, this Mexican plant is known for its bright red and green foliage making it perfect for brightening up that dark corner under the stairs. The go-to Christmas staple of recent years is the ‘Elf on the shelf’. 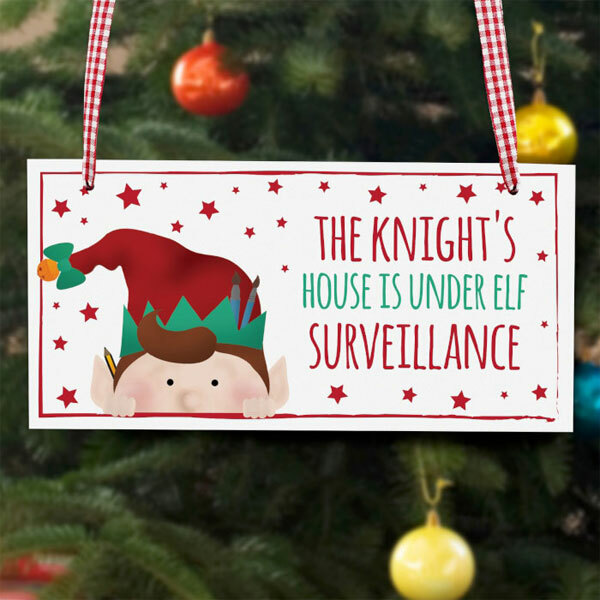 Designed to keep potentially naughty children in check and add some extra fun to proceedings this latest festive phenomena is a great addition to any household where children lurk. Be mindful thought that some children find them creepy and a bit scary so it might be worth checking first! Children aren’t always that helpful around the home particularly when it comes to chores; however ask them to help decorate the home for Christmas and you are likely to have some willing hands! Paper chains are a great idea to keep children amused and they can use them to decorate their own rooms. How about a giant Christmas colouring poster? These are perfect for keeping your little helpers occupied while you get on with things. Another great way to include your kids is in the kitchen making homemade decorations. Gingerbread is great but why stop there? 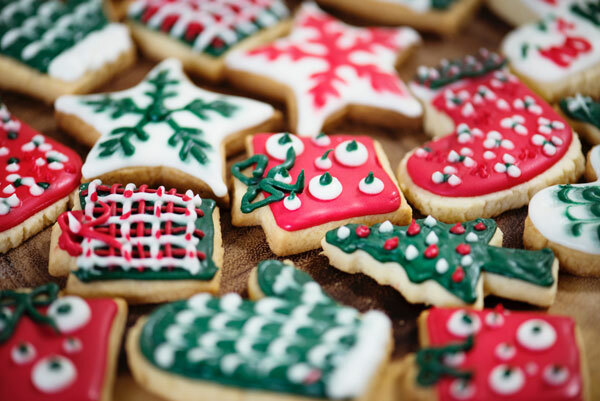 Decorate some Christmas biscuits to hang on the tree; you can’t beat an edible tree decoration – just make sure you hang them out of reach of the family dog – you don’t want him getting his Santa paws on them! You might not consider Christmas cards as Christmas decorations for the home but displayed correctly your collection of cards can really bring some extra wow factor to your room. Cards may not be as popular as they once were (again we have the Victorians to thank for this tradition) but you are still likely to receive more than a few and if you have children the number can soon multiply. Choose a suitable card hanger to keep them in order, or string some ribbon around the ceilings and make a display of them that way. You could even make a card garland to go around a door or window, again there are loads of ideas and inspiration to be found online. Whilst the fairy lights and tinsel provides an assault on the visual senses, an equally important aspect is the smell of Christmas! Particular scents can evoke happy memories and there’s nothing more Christmassy than the smell of a real Christmas tree. If you opt for an artificial tree don’t worry as you can purchase little sticks and sprays which emit that strong pine aroma. 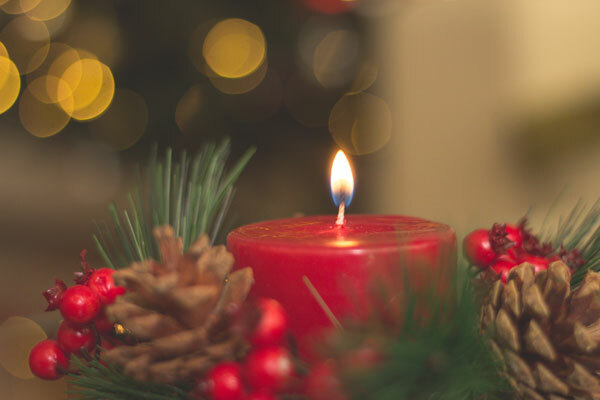 Candles make great Christmas decoration ideas, in particular include some scented candles around your home, not only do they ooze gorgeous aromas such as gingerbread, mince pies and cinnamon but they look amazing too. Just be sure to keep any real candles away from flammable objects likes granny’s cardigan! Add some festive cushions and throws to the sofa, you’ll be surprised what a dramatic effect a few Christmas cushions can make and throws will ensure your room is much cosier too. Christmas decorations ideas don’t have to break the bank. 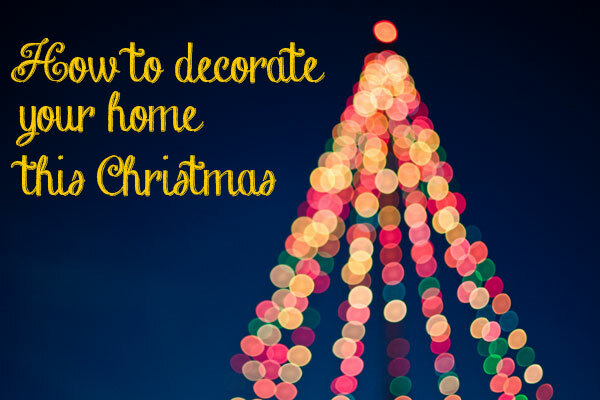 If you’re on a tight budget there are loads of great DIY decorations you can make. How about up-cycling one of those fancy old gin bottle empties – just pop a small string of cheap white fairy lights inside and you have a real statement piece! You can even make your own tea light holders from used tin cans, the options are endless and much inspiration can be found in Christmas magazine and online. 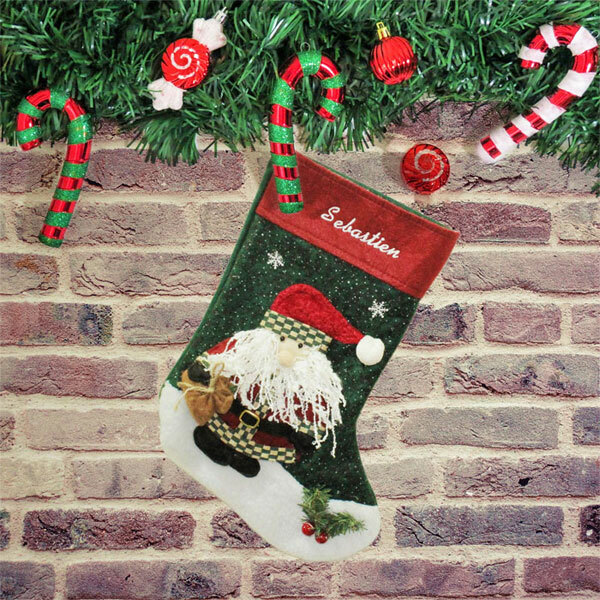 Christmas stockings are an important traditional in many households, they look amazing hanging from the mantelpiece in the hope that Santa might drop in a few festive goodies inside. Finally, don’t forget to leave out a festive mince pie plate for Santa to use when he enjoys his favourites snack. Attention to detail is everything at Christmas so make sure you have a festive decorative mince pie plate at the ready. So there you have it, hopefully you will have found some useful ideas on how to turn your home into a magical Christmas wonderland this year. As we’ve seen you don’t need a huge budget, just a little bit of creativity and a lot of fun and you’ll be decking the halls before you know it. Just remember be safe, and have a very happy Christmas!